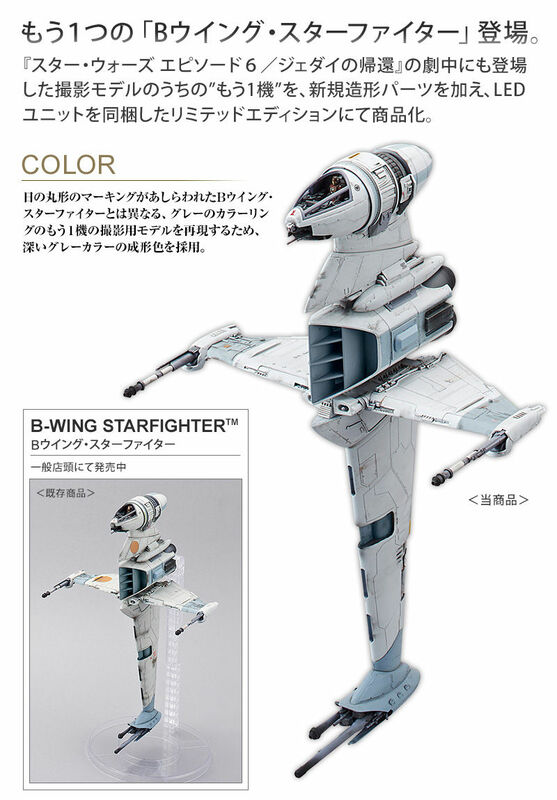 Another "B wing star fighter" appeared. 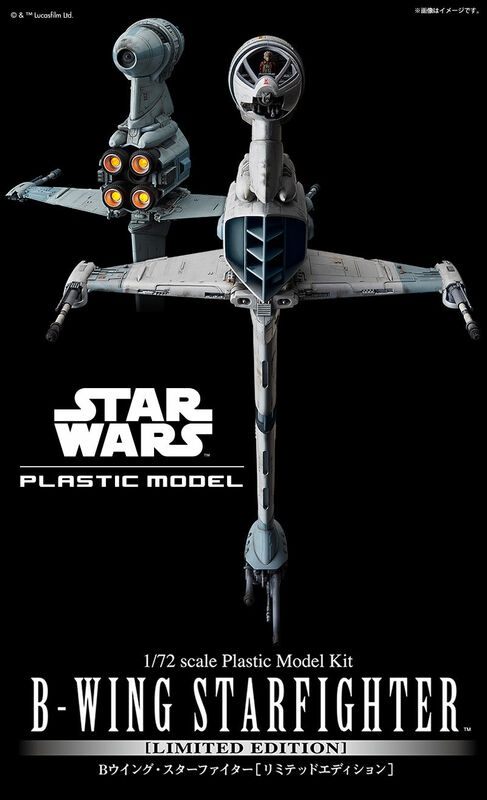 "Star Wars Episode 6 / Return of the Jedi" Another machine that appeared during the play "Another machine"
Added new modeling parts, commercialized by Limited Edition with LED unit included. In order to reproduce another shooting model of gray coloring, a deep gray color forming color is adopted. The water transfer type decal and the kinus seal reproduce the markings of each part of the aircraft. 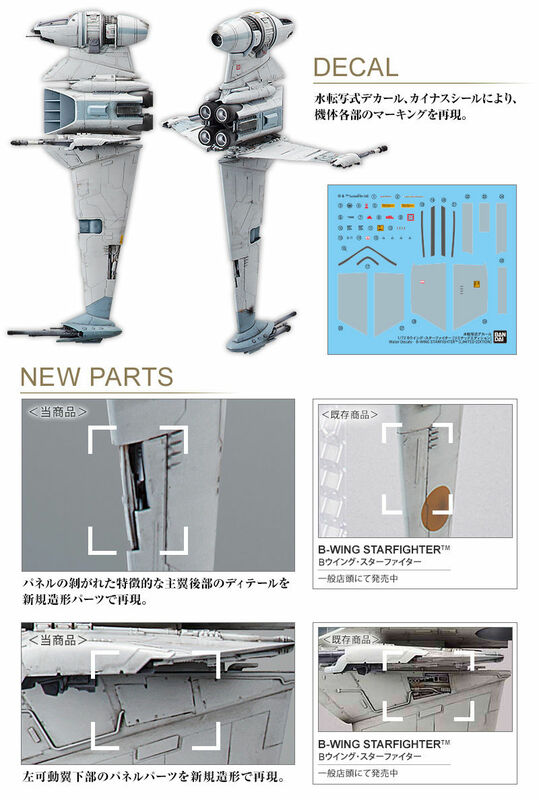 The detail of the characteristic wing wing peeled off panel is reproduced with new modeling parts. Also, the panel parts under the left movable wing are also reproduced by new shaping. In addition, pilot parts of human type are attached. An LED unit for directing the light of the rear engine is included. ※ Batteries (sold separately) are required for light emission. 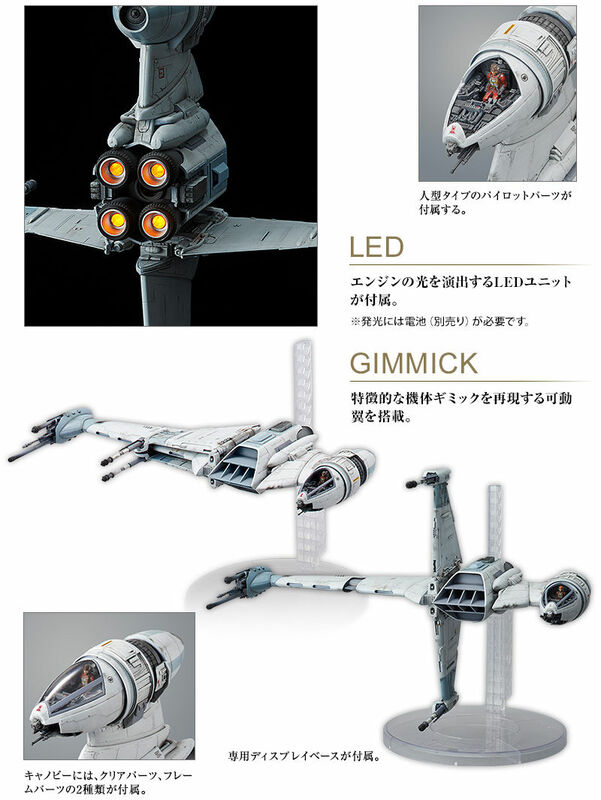 It has a movable wing that reproduces a characteristic airframe gimmick. In addition, the canopy comes with two types of clear parts, frame parts.